WHAT IS THE FITNESS & NUTRITION EXPERT PROGRAM? This is a complete and thorough professional 12 week certification program in fitness and nutrition that offers practical, applicable (aka you will actually use this in REAL life!) fitness instruction and personal training skills, program development, nutrition & lifestyle coaching and business building applications. It also provides into deeper understanding and strategies on how to effectively motivate and change people’s lifestyles to build healthier communities everywhere. This program is created to enhance prior professional fitness and nutrition training or to serve as your introduction to this awesome field. WHAT MAKES THE FITNESS AND NUTRITION EXPERT DIFFERENT THAN OTHER CLASSES? The Fitness & Nutrition Expert program is the only certification course of its kind in the industry! This is not just a fitness or nutrition course; it is a total body, life changing journey. What makes its truly unique and different is it focuses on ALL aspects of health. You will have the edge on all trainers in the industry as you can counsel on fitness, nutrition & wellness AND will have the skills to market & build a successful business (aka more clients!). You are not just going to learn the info in class but you are going APPLY and practice what we cover – leaving this course with the skills, experience confidence to be a leading fitness rock star! Don’t teach fitness or want to? This program is still for you! With a focus on total mind and body fitness, nutrition and wellness, the personal transformation – inside & out – will amaze you. WHAT CAN POTENTIAL CAREERS COULD I USE THIS CERTIFICATION TOWARDS? WHAT CERTIFICATION DO I RECEIVE? The Fitness & Nutrition expert certification seal to your materials to show the world your professional skills. IS THIS COURSE RECOGNIZED BY CAN FIT PRO & NASM? The Fitness & Nutrition Expert certification is internationally accredited by Can Fit Pro! What does that mean? Upon completion of this certification, you have received an in depth training to also be eligible to receive your Fitness Instructor Specialist & Personal Training Specialist with Can Fit Pro! To receive accreditation by Can Fit Pro, graduates must complete the Certification Accreditation Request Form with Can Fit Pro. I AM ALREADY A CERTIFIED TRAINER OR GROUP FITNESS INSTRUCTOR, WHAT NEW INFORMATION SHOULD I EXPECT TO LEARN? Awesome news that you already have your certification. That being said, the FNE program offers a unique approach to learning about not only one area of fitness i.e. Personal Training but you will also get group fitness knowledge, nutrition, wellness tips and insight and the Business of operating a fitness or nutrition company. Most courses out there offer one specific targeted area of expertise that is why we are offering this 12 week online program to encompass all areas so you become a well-rounded expert and have more offerings for your clients and your own health. I HAVE NEVER TAKEN ANY FITNESS AND OR NUTRITION COURSES, IS THIS PROGRAM RIGHT FOR ME? Yes, most definitely. The Fitness and Nutrition Expert program is right for anyone interested in entering the field or furthering their knowledge of health, wellness, nutrition or fitness. This program is for all levels and covers everything from the basic principles of training to the expert knowledge of dealing with injury prevention. With all the tools provided, each participant will feel supported and will be working on the same projects at the same time to keep it a balanced level playing field. I WORK FULL TIME AND HAVE A VERY HECTIC SCHEDULE, WILL THIS PROGRAM BE TOO MUCH FOR ME TO HANDLE? Majority of the participants in our programs have full time jobs, kids and unique situations yet still manage to plan accordingly to get all online hours and assignments completed. All online courses are pre-recorded and will be live on the class date. Each week we have a live coaching call to help answer any questions on material covered that will be taped and posted should you not be able to attend. You also have full email support with your instructors so you will never be unsupported and can work with your schedule. Please keep in mind however this program is a 12 week intensive course and meant for people who want to be serious about their own health and or their goals in becoming a Fitness and Nutrition Expert. We do maintain a schedule for assignments which will be provided on the first day of class and all materials are to be submitted no later than 3 months following the last class date. I AM SIMPLY WANTING TO FURTHER MY OWN KNOWLEDGE OF FITNESS AND NUTRITION BUT NOT GET CERTIFIED, IS THERE AN OPTION FOR THAT? Yes, for sure! If you want to learn or expand your knowledge in fitness, nutrition, wellness & business but not get certified, we have the option to take the Fitness & Nutrition Expert Education Program. You will get access to all live FNE virtual classes, course materials and community minus having to do the assignments, exams and practical hours required. Plus, you will receive a record of completion to show you have completed this education program. 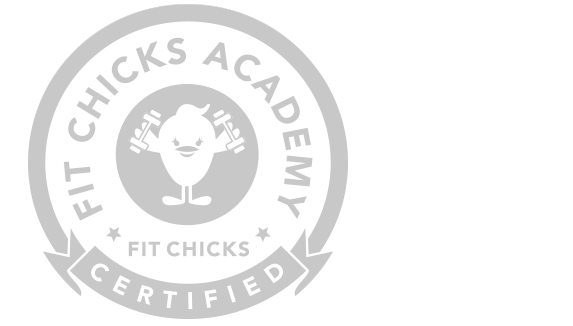 Please note the Fitness & Nutrition Expert Education Program is for learning purposes only and graduates will not be eligible for certification, accreditation with Can Fit Pro or insurance under FIT CHICKS Academy. For full certification, please register for the Fitness & Nutrition Expert Certification Program. Registration is now open for our March 2019 online program. You can register for the program here. To inquire about registration in the fall program, please email Amanda@fitchicks.ca. WHEN DOES REGISTRATION FOR THIS PROGRAM CLOSE? HOW OFTEN DOES THIS PROGRAM RUN PER YEAR? IF I MISS THE START DATE CAN I STILL REGISTER LATE AND CATCH UP ON THE WORK AND COURSES? Yes, you can still the session late if you missed the start date but are required to submit all materials as per that session’s deadline. Please email amanda@fitchicks.ca to get enrolled. Please note students are responsible for their own books and videos as per the required readings and viewings list. Yes, we can offer group rates for groups of 5 or more chicks registering for the program. Please contact Amanda@fitchicks.ca for more info and pricing details. DO YOU OFFER THIS PROGRAM AS A CORPORATE PROGRAM FOR OUR ORGANIZATION? Yes, we can certainly administer a private program for you and your company. Please contact Amanda@fitchicks.ca for more info and pricing details. I WANT TO DO THE PROGRAM WITH A FRIEND. CAN WE REGISTER TOGETHER? 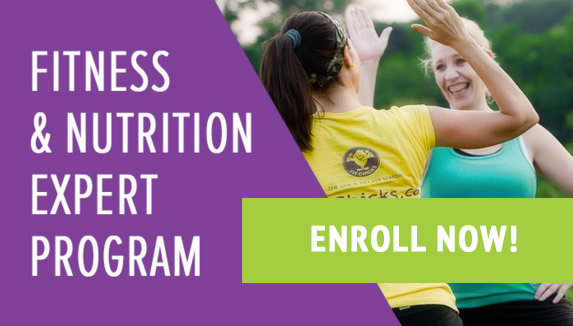 The Fitness and Nutrition Expert Program is an individual program in that each participant must register on their own to participate and access all information and classes. Yes, we can offer payment plans. Please connect with Amanda@fitchicks.ca for more info and details around the different options. WHAT TYPE OF PAYMENTS OPTIONS DO YOU ACCEPT? We accept payment via Major Credit Cards, Interact E Transfer, Cheque and Cash. Should you wish to make payment via Interact E transfer, Cheque or Cash please contact Amanda@fitchicks.ca to arrange details. Please note payment plans are only available on pre-authorized credit cards. All other forms of payment must be paid in full. WHAT IS YOUR REFUND POLICY SHOULD I HAVE TO CANCEL MY REGISTRATION? That’s after participating in the program for 30 days and you show us that you’ve kept up with all the work including classes, quizzes, assignments and co-op (you have to show us proof! ), and for some crazy reason DO you not feel like you are growing personally and professionally, then we will be happy to return the investment. The Fitness & Nutrition Expert Program is for women who are committed to learning and growing in the fitness, nutrition and wellness fields, who want to spread the healthy love and get more clients,and NOT for people who just want to collect a piece paper to say they have it. And we will be strict on this last point – you absolutely must do the work and submit after 30 days* to be eligible for a refund. *Refunds will only be issued if all complete work is submitted on day 31 of the program to fne@fitchicks.ca. No exceptions or extensions will be provided. HOW LONG IS THE PROGRAM? HOW IS IT BROKEN DOWN? The Fitness and Nutrition Expert Program is a 12 week training course that is an intensive, interactive online courses. The hours are broken down into 4 sections – fitness, nutrition, wellness and business – that are learned through a combination of online classes, at home assignments /study and practical teaching component in your community. You have 3 months following the last online class to submit all materials for graduation. WHAT IS THE ACTUAL SCHEDULE LIKE, IN TERMS OF DAYS, NIGHTS AND WEEKENDS? HOW ARE THE CLASSES ACCESSED? The classes are accessed via a private membership site. All course materials and resources for reference will also be posted here. Log in details will be sent prior to first class. WILL THE ONLINE CLASSES AND WORKSHOPS BE AVAILABLE FOR FUTURE USE OR TO VIEWING AT A LATER DATE? WHAT HAPPENS IF I HAVE TO MISS A CLASS OR TWO? As all classes are virtual, recorded and posted based on the schedule, if you miss some classes you are able to catch up on your schedudle. Please note that all assignments are required to be on time. You will have received your course outline at the beginning of the program which highlights dates to be honored. Yes, currently we are operating the Fitness and Nutrition Expert program for women only. The reason being is not because we do not like roosters but because women and men train very differently. They also generally have different unique goals in place when it comes to training and results. Also, we are women who have developed and run a women’s only company, brand and fitness program since 2008 so the knowledge base is very supportive of women and fitness. WHAT TYPE OF SUPPORT CAN I EXPECT DURING THIS PROGRAM? We will be with you every step of the way! Your trainers are there for you in class, through your online weekly coaching calls and as your personal coaches via email throughout the course. We will provide feedback on all assignments and will be available to schedule time for follow up / questions. We want you to leave this program feeling confident, excited and bursting with Fitness and Nutrition knowledge so we will be sure to give you everything we got, as long as you do the same. ARE YOUR TRAINERS CERTIFIED AND WHAT IS THEIR BACKGROUND? Yes, all trainers who teach the course materials are certified trainers, nutrition experts and corporate business owners who have the experience and knowledge to lead you to expert level status. CAN I ACCESS ALL THE COURSE MATERIALS AT ONCE? No, upon commencement of the program you will receive a full outline of the course and assignments. This will give you some perspective and you can work ahead however the actual course materials will be issued on a weekly basis. Classes become available weekly to ensure you are focusing and learning through each week and module. HOW WILL I ACCESS MY COURSE MATERIALS ONCE I AM REGISTERED? Course materials will be posted on the Members site and will be accessible on the first day of class. Some course materials will be posted on the Members Section class and all online course materials and interactive workshop materials and passwords will be posted in advance of the course start dates. I HAVE INJURIES; WILL I STILL BE ABLE TO PARTICIPATE IN THE FITNESS PORTIONS OF THE PROGRAM? Yes, of course. Like all of our programs we offer modifications and levels for each portion of our fitness programming. We will also be covering the area of working with injuries and modifications extensively in the program so you will gain further knowledge as well for self-directed movements. Once you have registered for the program, please contact Amanda@fitchicks.ca to notify her of your injuries. I WANT TO REGISTER FOR JUST PORTIONS OF THE FITNESS AND NUTRITION EXPERT PROGRAM, IS THIS POSSIBLE? Currently we are not offering an “a la carte” option however we may open up some areas in the future as individual workshops. Should you have a personal interest in one or some of the specific courses and topics please contact Amanda@fitchicks.ca directly to discuss options. WITH THIS CERTIFICATION AM I RESTRICTED TO TEACHING ONLY WOMEN? No, you can train both men and women with this certification as the information and knowledge you will learn is gender neutral. AM I NOT SURE IF I WANT TO TEACH BOOTCAMP? WHAT OTHER TYPES OF CLASSES CAN I INCORPORATE MY LEARNING IN THIS PROGRAM TO? The information you learn in this program will help you to develop all type of programming outside of just bootcamp classes. The knowledge you will gain can be incorporated into any type of training method like yoga classes, barre, pilates, step classes, strength training program and more as the information is not teaching you how to instruct a bootcamp class but how to build a program and design a program for all fitness levels as well as teach any type of fitness program successfully for results. WHAT HAPPENS IF I AM UNABLE TO MANAGE THE PACE OF THE PROGRAM OR CAN'T GET ALL MATERIALS IN BY THE SESSION DEADLINE? In this case, you can request a one time deferral to re start in the next upcoming Fitness & Nutrition Expert Program at a $297 restart fee + HST. Access to all program materials will be revoked and re granted in the next session upon payment. If you activate the deferral and restart but are unable to complete the program requirements, you must re-register for the full program. You also have the option to elect for the FIT CHICKS Fitness & Nutrition Education Program. Please note this is not a certification but acknowledgement you have completed the theory portion of the program. HOW DO I MAINTAIN MY CERTIFICATION? DO I HAVE TO COMPLETE CONTINUING EDUCATION CREDITS? *FC University reminders will be sent prior to certification due date. An additional course fee of $89 + tax applies to complete. WHAT IS THE HOLISTIC NUTRITION WEIGHT LOSS EXPERT PROGRAM? This is a complete and thorough professional 8 week online certification program that offers practical, applicable (aka you will actually use this in REAL life!) to support the body in weight loss and building healthy minds & bodies, program development, nutrition and lifestyle coaching and healthy habit building applications. 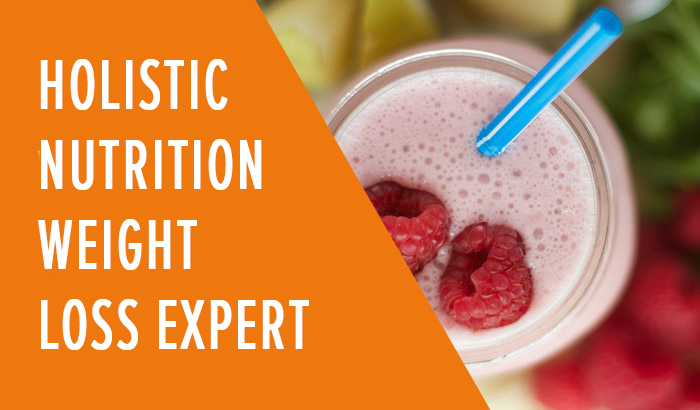 WHAT MAKES THE HOLISTIC NUTRITION WEIGHT LOSS EXPERT PROGRAM DIFFERENT THAN OTHER CLASSES? The Holistic Nutrition Weight Loss Expert program is the only certification course of it’s kind in the industry. Being at YOUR healthy weight is a not about a number on a scale. It is a by product of healthy living and self love – inside and out. You can be healthy at every age, shape and size but you need make sure your body is in balance. Unlike other nutrition programs or courses that focus on calories and food guides to promote weight loss, the Holistic Nutrition Weight Loss Expert Program is an 8 week certification program that will teach you everything you need to know to support your body and healthy weight loss in a holistic way for REAL health results. With a focus on APPLICABLE holistic health practices to get results, the Holistic Nutrition Weight Loss Expert certificate is an amazing for fitness professionals, nutrition & wellness specialists, yoga instructors or health coaches to grow your client base, add to your skill set & offerings and set you apart from the rest. It is also awesome for the everyday women looking to increase your knowledge in nutrition and weight loss to get your own personal results. WHAT CERTIFICATE DO I RECEIVE? The Holistic Nutrition Weight Loss Expert certification seal to your materials to show the world your professional skills. I AM ALREADY AS A NUTRITION SPECIALIST OR WEIGHT LOSS COACH, WHAT NEW INFORMATION SHOULD I EXPECT TO LEARN? Awesome news that you already have your certification. That being said, the HWLE program offers a unique approach to learning about basics of nutrition and weight loss but also focuses on a holistic approach to weight loss including digestion, hormonal health, exercise, mind set shifting and more that truly takes an individualized approach to health . Most courses out there offer a “one size fits all approach” to nutrition and weight loss which just one area in this field and that is why we are offering this 8 week online program- to encompass all areas so you become a well-rounded coach and have more offerings for your clients and your own health. I AM SIMPLY WANTING TO FURTHER MY OWN KNOWLEDGE IN HOLISTIC NUTRITION AND WEIGHT LOSS BUT NOT COACH CLIENTS, IS THERE AN OPTION FOR THAT? Yes, for sure! This program is structured for every woman to learn and / or expand your knowledge in nutrition, holistic health and weight loss. While you will receive a certificate of completion, you do not have to coach as this information will be invaluable to your own personal growth and health. Registration is now open for our May 2019 online program. You can register for the program here. To inquire about registration in the next program, please email Amanda@fitchicks.ca. Majority of the participants in our programs have full time jobs, kids and unique situations yet still manage to plan accordingly to get all virtual classes and assignments completed. Virtual classes are weekly and recorded to watch under the Members Only section. Please keep in mind however this program is a 8 week intensive course and meant for people who want to be serious about their own health and / or their goals with natural, holistic health and weight loss. We do maintain schedule for assignment deadlines which will be provided on the first day of class to ensure your learning in the best way possible. Yes, you can join late but will have to catch up on any missed classes and/ or assignments. You also must complete the materials as per the session deadline. The cost of the 8 week Holistic Nutrition Weight Loss Expert program is $1, 297.00 plus HST. This includes all online classes, course materials and ongoing support. The Holistic Nutrition Weight Loss Expert Program is an individual program in that each participant must register on their own to participate and access all information and classes. Yes, we offer 2 options for payment: payment in full of $1297 or 6 installments of $249 each. Both options are charged applicable taxes. The installment plan are auto payments via credit card or PayPal account. The deposit is charged upon registration and the installments are charged monthly. We accept payment via Major Credit Cards, Interact E Transfer, or cheque. Should you wish to make payment via Interact E transfer or Cheque please contact Amanda@fitchicks.ca to arrange details. The Holistic Nutrition Weight Loss Expert Program is a 8 week training course that is an intensive, interactive online courses. The hours are broken down into 8 modules that are learned through a combination of online classes, at home assignments /study and practical coaching component in your community. Virtual classes are released every Tuesday morning. All at home study and practical components can be done on the students own time to work their personal schedule. All lectures / classes are virtual and available under a private members site. Log in details will be sent prior to first class. Yes, currently we are operating the Holistic Nutrition Weight Loss Expert program for women only. The reason being is not because we do not like roosters but because we are women who have developed and run a women’s only company, brand and fitness program since 2008 so the knowledge base is very supportive of women and holistic health. We will be with you every step of the way! Your coaches as your personal support throughout the course. We will provide feedback on all assignments and will be available for follow up / questions. We want you to leave this program feeling confident, excited and bursting with natural weight loss knowledge so we will be sure to give you everything we got, as long as you do the same. Upon commencement of the program, you will receive access to the Members Only Section full outline of the course and assignments. This will give you some perspective and you can work ahead however the actual course materials for each module will be issued on a weekly basis during the 8 week program. All program materials are to be submitted within 3 months of the last virtual class in order to be eligible to graduate. In the case you can not meet the deadline or need to pause the course, you can request a one time deferral to re start in the next upcoming Holistic Nutrition Weight Loss Expert Program at a $197 restart fee + HST. Access to all program materials will be revoked and re granted in the next session upon payment. If you activate the deferral and restart but are unable to complete the program requirements, you must re-register for the full program. You also have the option to elect for the Holistic Nutrition Weight Loss Education Program. Please note this is not a certification but acknowledgement you have completed the theory portion of the program. I am in the US and not sure what my State requirements are when it comes to nutrition counselling? Is this program accredited and / or recognized by other organizations?